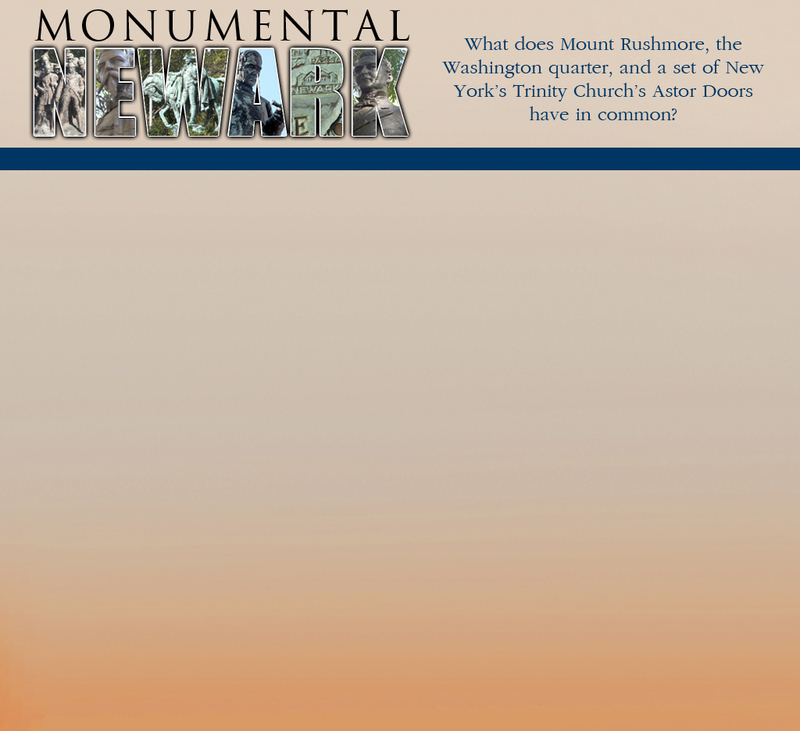 All were created by renowned sculptors who also have celebrated works in Newark, New Jersey! Indeed, Newark is home to an amazing array of monuments, memorials, and statuary, reflecting a long artistic and cultural heritage. In 1975, The Newark Museum Quarterly published a survey of the city's public sculptures. In the 42 years since, however, this work has naturally become out of date, as new monuments have been erected and others moved or even lost. This page has been added to the GSL website to help support this project. A Facebook page has also been established to help those interested to keep up-to-date with its progress. If you have any suggestions for resources, please email me, and feel free to share this page with anyone you think should know about it! Click on the image above to open a PDF mock-up of the sort of book being envisioned. 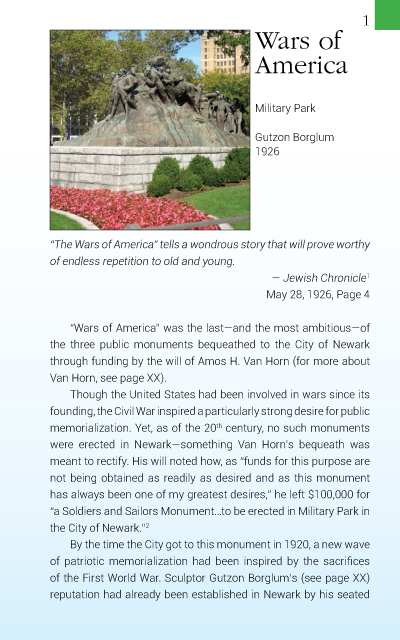 This sample focuses on "Wars of America" in Military Park.